One of the primary techniques used by Doctors of Chiropractic (D.C.) is a "spinal adjustment", also known as a "chiropractic adjustment". In fact, chiropractors are renowned clinicians who specialize in performing spinal adjustments. The term "adjustment" refers to the physical alteration of the spinal vertebrae. The goal of such spinal adjustment is to reduce vertebral subluxation and return the spine to a more natural state of health. The word subluxation is derived from the Latin terms Sub ("less than" or "slight") and Luxate ("to dislocate" or "be misaligned"). Accordingly, vertebral subluxation means the slight dislocation or misalignment of the spinal vertebrae. When a patient has a subluxation, chiropractic adjustment can be used to correct the misalignment, which in turn helps enhance joint mobility, reduce pain and muscle spasm, and reduce nerve irritation or impingement. Chiropractic adjustment is a highly refined skill acquired during years of intensive training. The technique involves the manual application of a controlled force into the spinal vertebrae which have become misaligned and hypo mobile (limited in their range of motion). This procedure corrects vertebral alignment and is often accompanied by a clicking sound. While this sound might surprise first time chiropractic patients, it is merely the audible release of gas from within the spinal joints. If your pain has a musculoskeletal origin, we can detect and remove the source of what’s causing your discomfort. At Healing Arts Chiropractic, our goal is finding the cause of this pain. Our focused, hands-on approach aims at giving you immediate relief. At Healing Arts Chiropractic, we give you a personalized plan for your health. This ensures you receive maximum benefits. Our care is thorough and efficient, offering you relief. Chiropractic is designed to remove this pain complex. You feel good when pain is removed. At Healing Arts Chiropractic we specialize in finding the source of this pain complex and removing it; giving you relief. When stress is held in your body, tension is created causing pain. Would it surprise you to learn that your muscles may hold stress that push your vertebrae out of alignment? Your body “learns" a muscle pattern. Chiropractic helps your body to “unlearn" stress and tension patterns that cause you pain. Remember the example of the flickering light? When the wire supplying light is running smoothly and unkinked, then the light is bright. If the wire is bent or contorted, then the light may flicker. When your nerves are blocked or contorted, pain is the likely experience. At Healing Arts Chiropractic our all natural approach offers a focused treatment plan for each person, non-surgically! Our safe methods give ideal benefits aimed at increasing physical and emotional health. When you feel better you think more clearly because your pain is relieved. A vertebral subluxation complex (subluxation) is when your vertebrae are out of place or misaligned. You may be able to feel this, just by placing your hand on your middle and lower back (depending on how flexible you are). You may even feel a vertebra out of alignment in the back of your neck. Imagine a bone being out of place! Your spine is composed of vertebrae that are connected or in close proximity to nerves, blood vessels & muscles. What do you think happens when that vertebrae is out of place? That’s right, the structures that are connected to it or in close proximity are also affected. Many times adversely affected. This creates a snowball effect that may travel throughout your entire body! Your spine houses your nerves. When trauma occurs, either by daily stressors or from larger accidents, impeded nerve flow may result. An impinged nerve could be blocking the function of your organs! Are you experiencing a problem with your internal systems? It could be related to vertebrae misalignment. Your nervous system controls basic functions such as digestion and respiration. Did you know it also governs higher, cognitive functions like memory and intelligence? Doesn’t it make sense that your nerves need to physically flow with ease throughout your entire body? If nerves are blocked or damaged, long-term harm may be the result. If you’ve suffered from a major trauma or from repetitive stress, wouldn’t you like to be rest-assured that your nerves are healthy and functioning as they should? Chiropractic can give you an intelligent and immediate assessment of what’s going on inside your body and how to make you feel better. Why is this? When your nerves are functioning optimally your organs and muscles are getting what they need. Many times subluxations are unnoticeable, which means they are potentially causing damage to your body. Subluxation has been referred to as a silent threat. At Healing Arts Chiropractic, we specialize in finding what may be the underlying cause of ill health and low energy. Chiropractic achieves its goals by using a focused adjustment. 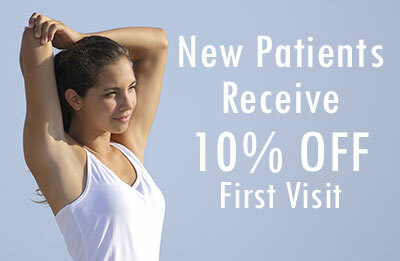 Most of our patients feel immediate relief after an adjustment. The body holds its tension in certain ways. It may even guard itself when minor and major events are felt. These impacts are experienced through daily living. This guarding mechanism may create a build-up of fibrous tissue around the subluxation. When this fibrous tissue is relieved by a skilled adjustment, minor discomfort may be experienced. In reality, blood vessels, nerves and the lymphatic system will be able to increase their circulation! This will give your organs what they need to thrive! The adjustment creates a positive and powerful ripple effect throughout your entire body! Increased health and vitality are the results!